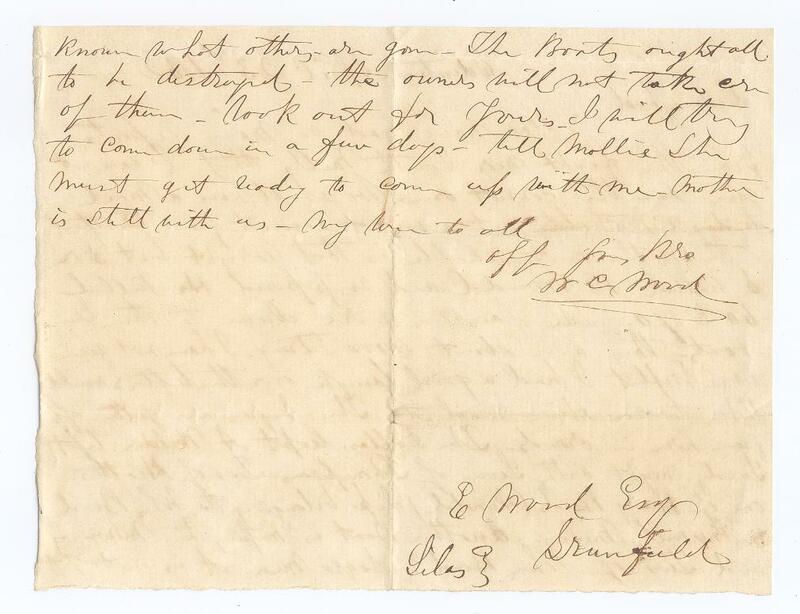 Item description: Letter from William C. Wood to his brother, Edward Wood, reporting on the ambiguous accounts of the Battle of South Mills in Camden County, N.C., and warning him to “watch his boats” since others in the area had been used to assist slaves to escape. Item citation: in folder 39 of the Hayes Collection #324 of the Southern Historical Collection, Wilson Library, University of North Carolina at Chapel Hill. 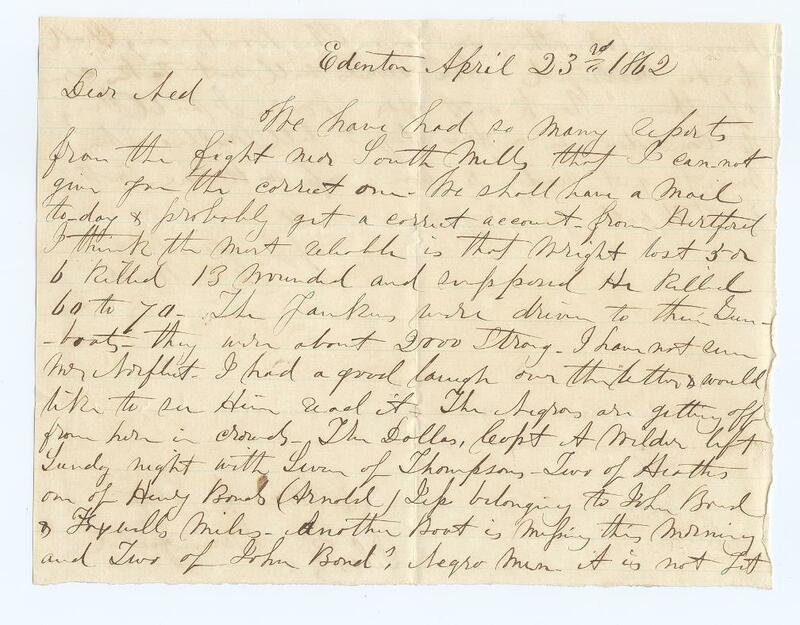 This entry was posted in Southern Historical Collection and tagged Battle of South Mills, contraband slaves, Edward Wood, runaways, slavery, slaves, William C. Wood, Wilmington. Bookmark the permalink.